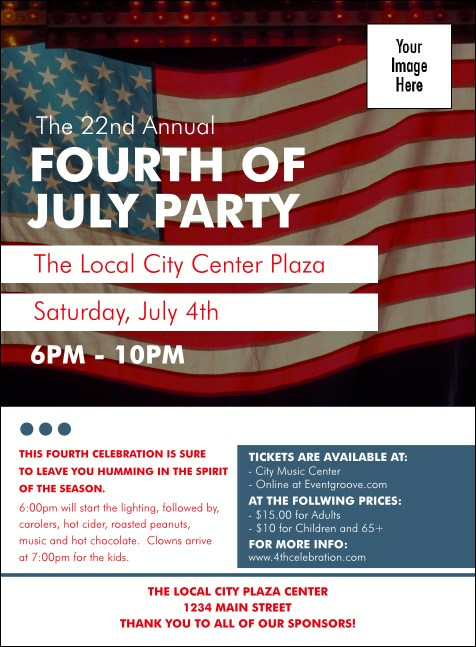 Invite your entire guest list to help you celebrate all the pride of the stars and stripes when you print Fourth of July Invitations and send them out in advance. Each Invitation features a magnificent American flag waving in the wind and has room for you to upload your own personal image. TicketPrinting.com helps you celebrate the American way.